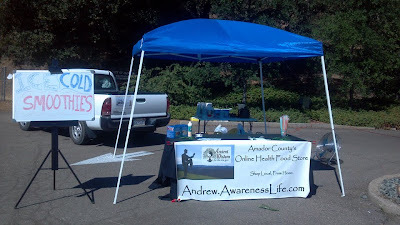 On August 19, 2012 Amador County's Online Health Food Store (andrew.awarenesslife.com) was once again brought to the Farmers Market in Jackson, CA to make ice cold smoothies using the nutritional Pure Trim Wellness Shakes to help people stay cool and nourished during this warm summer weather. 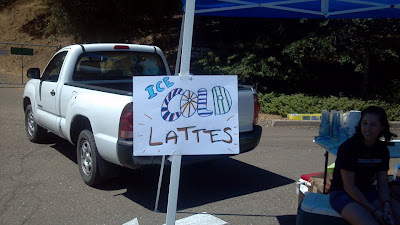 We were also selling Iced Herbal Lattes using the Mediterranean herbal blend Harmony to keep everyone refreshed and balanced. 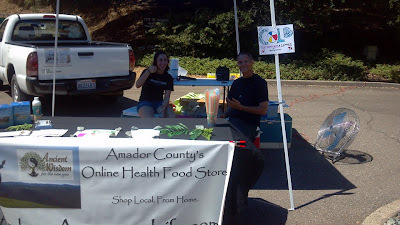 We were honored to be a part of the Amador County Farmers Market to bring some cold, healthful treats to all the wonderful people that attended. Below are some of the pictures that we took while we were out there. 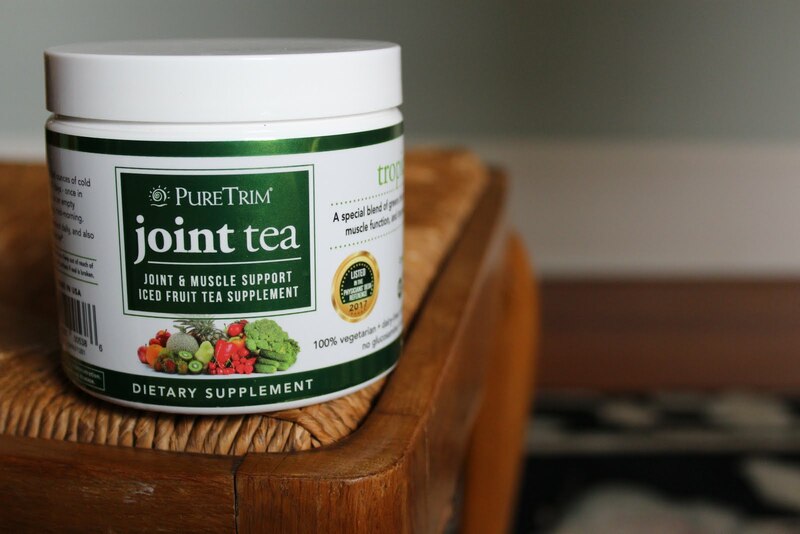 Enjoy and please let us know if you have any questions about the Pure Trim Wellness Shakes or the Harmony herbal blend. 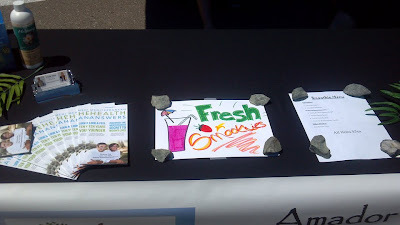 This is what our booth looked like right after we set up. 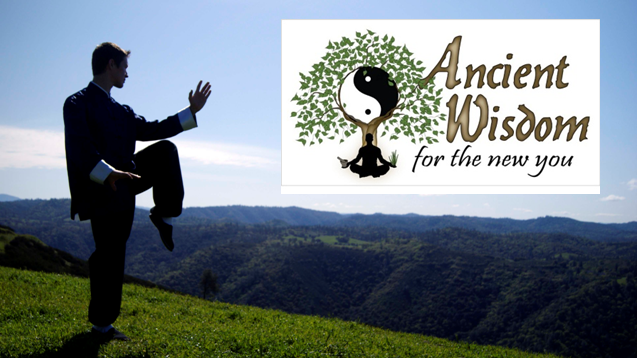 Here Sam (a Tai Chi student) and Pete (A Tai Chi Chuan Student and Shifu Andrew Plitt's dad) are taking a break between customers and enjoying the warm summer weather. A glimpse of the table. 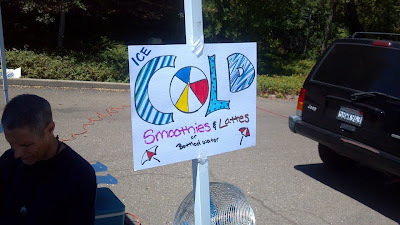 One of the signs Sam made for our event. 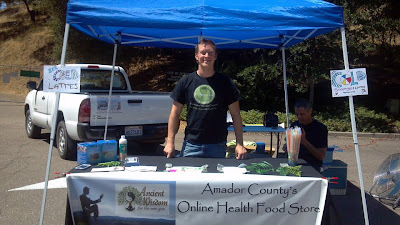 Here Shifu Andrew Plitt is manning the table for the next customers who want some cool, refreshing nutrition.